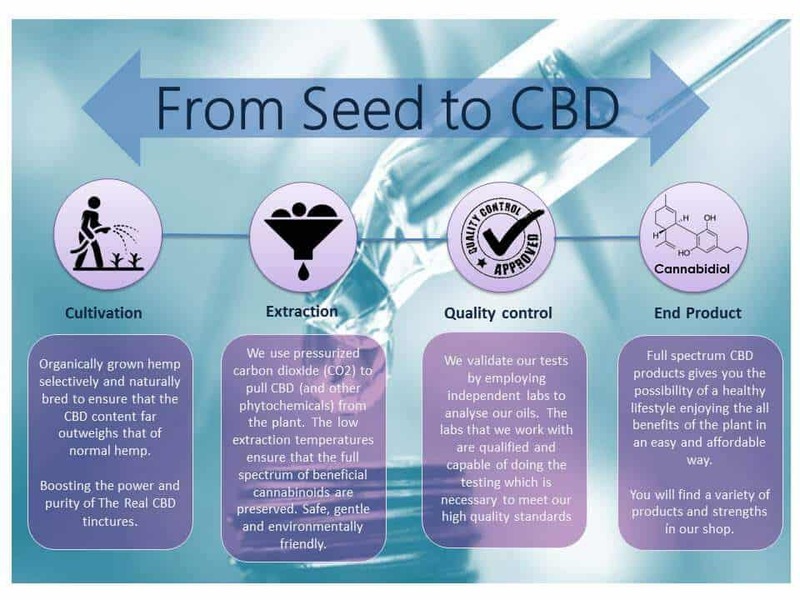 Our quest is to get The Real CBD oil out to everyone and share our knowledge, to the best of our ability. We want people to appreciate the cannabis plant in a sea of products and suppliers. People should not feel scared and understand there is no possibility of addiction. We want to crunch reefer madness. The human body has its own endocannabinoid system. CBD oil can help many people restore their internal balance. Make sure the oil is organic, full spectrum and from a respectable source. Our products are made in an organically sustainable manner and we believe that the most efficient product is a full spectrum one because you get the Entourage Effect. We are a company with close contact with farmers, scientists, botanists and educators, all working around a simple goal. To give cannabis back the respect of being cultivated, utilized and sold in a fair and natural way. No intense mark-up prices for something that nature engineered and donated to man in the first place. We spend our time doing what we do best. CBD extracts at affordable prices for all! Only using the flower and leaves of the certified organic hemp, growing and cultivating without herbicides or pesticides on organic soil, is our pride. Our farmers use only a specific strain of hemp, which is able to yield the highest concentration of cannabinoids in a totally natural way. Grown in one of Europe’s best places because of the abundance of sunshine. Hemp is known to clean poisoned soil – it has for example been used for years to clean up the Chernobyl disaster, hence the importance of growing on organic clean soil. In the near future, we will see a huge demand for natural medicine. People are tired of getting fooled and poisoned. It has been going on for too long. The Real CBD products are 100% safe, high quality and you always get exactly what’s on the label. We use the full spectrum of cannabinoids and terpenes which is found in the hemp plant. You want a natural product – in a jungle of real and fake, so we make sure everything in the process stays as natural, clean and true as possible.